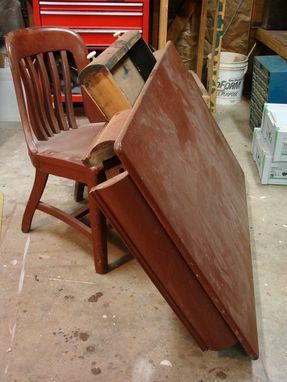 A client presented this forgotten and forlorn family heirloom lawyer's desk and chair. 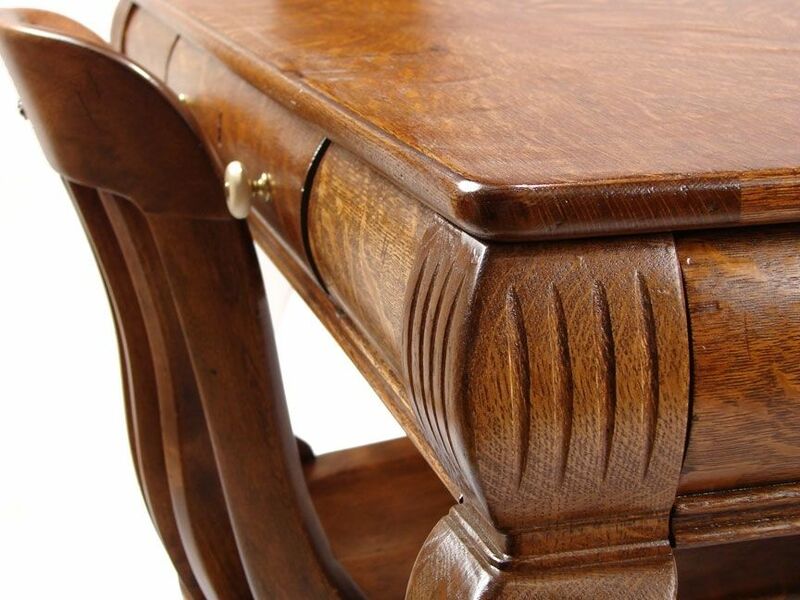 Sadly, the original Queen Anne legs had been damaged and discarded. 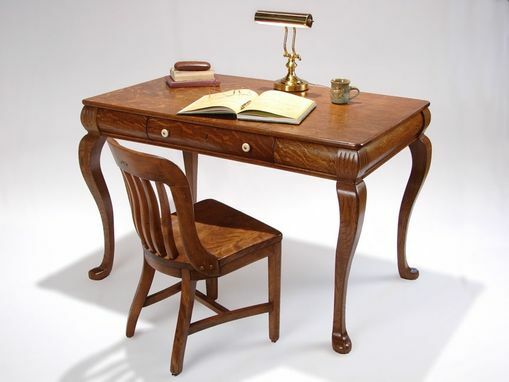 Through the client's memory and sketches, the legs were recreated and the the quartersawn oak desk was restored. The vintage maple chair, also previously painted red, was rebuilt and restored to finish off the set.